Red Dawn seems like a film that Hollywood would have stayed away from in the remake department. Heck, even its title is outdated as it refers to the Red Menace that was the Soviet Union. Yet, switch out North Korea for Russia and we’ve got a Chris Hemsworth-starring movie (check out our exclusive Red Dawn trailer) that premiered November 21. That got Movie Fanatic thinking about what other films are heading our way that may seem like odd choices given their generational-defining moments and how difficult the task must be to replicate lightning in a bottle. We present the Top 10 that are coming soon -- whether you want them or not -- from our least interested to quite compelled. There are defining movies and then there is Dirty Dancing. It had all the elements of capturing a moment in time in terms of how it added up to a blockbuster. It featured Patrick Swayze in a role he was born to play and the same should be said about Jennifer Grey. It had an Oscar-winning theme song that to this day resonates. There are priceless Dirty Dancing quotes that are so iconic -- there is no way to imagine anyone else saying those lines. Another Patrick Swayze film and more news that a Point Break remake is in the works. The 1991 film put Oscar winner Kathryn Bigelow on the map and featured the mad crazy good casting of Swayze as an extreme sport loving bank robber and Keanu Reeves in the role of a washed-up college football star turned FBI agent who goes undercover with Swayze’s team. Reading that description above -- it honestly sounds like a silly movie. Yet, with Bigelow directing her born to play the roles cast (including the impeccable Gary Busey), it worked. Why try to replicate magic? It won’t work. Demi Moore and Rob Lowe defined a generation, pre-AIDS, post sexual revolution that was dealing with the emotional issues of yuppie-dom. It’s hard to imagine it being relevant today, except with the casting of Kevin Hart anchoring a modern, urban version of the Chicago sexcapade story, and we’re intrigued with the About Last Night remake news. As told to Movie Fanatic in our exclusive Kristen Bell and Dax Shepard interview, the utterly cute duo is remaking Overboard. The original 1980’s film featured real life loves Kurt Russell and Goldie Hawn. Since the film is not as decade defining (other than the original’s dated soundtrack and fashion), this could work. I could see Bell as a high falutin woman of the new millennia and Shepard as the rural, backwards thinking man who sees his wife barefoot, pregnant and in the kitchen. We heard in our exclusive End of Watch writer-director David Ayer exclusive interview that the man adores police stories. Then why would he be drawn to remake the 1980’s action film featuring Arnold Schwarzenegger? Perhaps that character is the ultimate enforcer of the law? 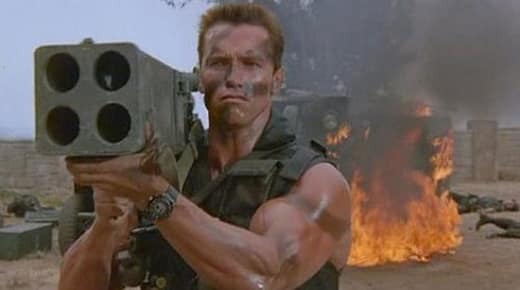 Ayer has already written a script and given his screenplays for Training Day and End of Watch; a Commando remake with the right star (perhaps Dwayne Johnson?) sounds interesting to say the least. A hip-hop remake of the Broadway classic that leapt to the big screen in the early 1980s is as good of a reason to remake a film as there comes. If filmmakers are going to update a classic film story, something original should be the reason why. Will Smith and Jay-Z are co-producing the film that is set to be a starring vehicle for Willow Smith. Smith had great success with re-doing The Karate Kid for his son Jaden, why not Annie for Willow? Plus, with an all-new soundtrack that combines the legendary Broadway tracks with original material from Smith and Jay-Z… what’s not to love about this idea? Since fans adored the original Evil Dead, remaking it might seem a bit of a risk. Yet, it is a wildly held belief that as good as that film was, it missed the mark when it comes to what should have been done with an Evil Dead movie. As seen in the latest Evil Dead trailer, it looks like filmmakers in 2012 have managed to listen to those concerns for a beloved franchise that appears to be heading into its second life. Now, the remake of the iconic My Fair Lady is only at the purely rumor stage. But given who is said to be taking the roles that Audrey Hepburn and Rex Harrison made famous onscreen, we are so on board with this remake. Colin Firth and Carey Mulligan are the latest to circle the project and with those two expressing such interest, consider a My Fair Lady remake pretty much a lock. You’ve seen the Carrie trailer, and what at first seemed a “what were they thinking?” remake decision, now appears utterly brilliant. Stephen King’s story of a picked-on teen could not be more relevant today than it was in 1976 when Sissy Spacek made her bullying classmates pay in a blood-soaked prom scene that is still iconic. With Chloe Grace Moretz starring in the title role and Oscar winner Julianne Moore cast as her mother, anticipation could not be higher. Robocop defined the 1980’s view of the future when it premiered with Peter Weller as the robotic hero. The greed is good decade’s fingerprints are all over it... so how does one even attempt to update? First, sign a solid actor in Joel Kinneman who will kill it as the legendary film character. Second, add star wattage with Samuel L. Jackson and Gary Oldman. 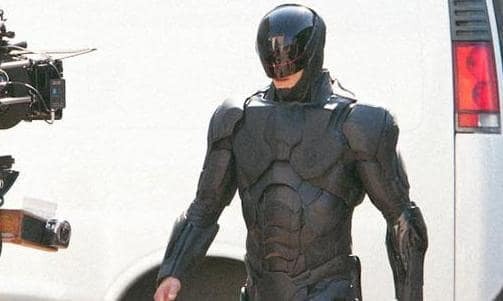 Third, hire someone outside the studio system to direct in Brazilian José Padilha, and the excitement level explodes for Robocop 2012 when it lands August 9, 2013. Try watching the Robocop teaser trailer and not getting a little excited!